Aspire's CE5-S clearomizers use the Aspire Bottom Vertical Coil (BVC) technology - BVC coils have improved longevity, and ensure great flavor and lots of vapor from your e-liquid. 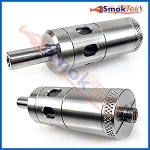 The Aspire CE5-S BVC clearomizer is made of stainless steel. 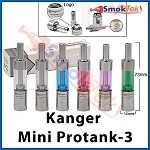 It features a removable drip tip and a PCTG plastic tank tube - PCTG offers greater clarity than polycarbonate plastic. 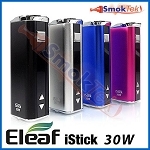 There are two windows on each side of the clearomizer, allowing you to see how much e-juice remains inside. 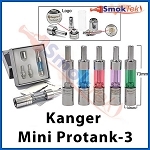 It has 1.8 ml e-juice capacity and is easy to fill or replace the coil! To change the coil of the Aspire CE5-S, simply unscrew the base/bottom of the clearomizer (make sure it's empty first), unscrew the old coil and screw in a new one. 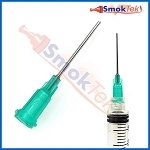 To fill with e-liquid, take the clearomizer tube and tilt a slight angle. 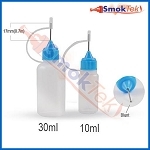 Fill with 1.8 ml of e-liquid (be careful not to drip any e-juice down the center tube, that is for airflow.) Finally, screw the base back on and set aside for a few moments to allow the coil to become fully saturated. Please note that the Aspire CE5-S, like the Aspire K1, is only compatible with these Aspire BVC coils, and NOT with the Aspire NAUTILUS BVC coils. The Aspire CE5-S is 510/eGo threaded and will work great with eGo batteries - it is a great match with our Twist Variable Voltage 1300mAh eGo battery. 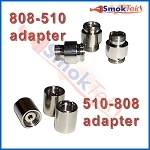 Customize your vape by switching out the included removable 510 drip tip with a different 510 drip tip. 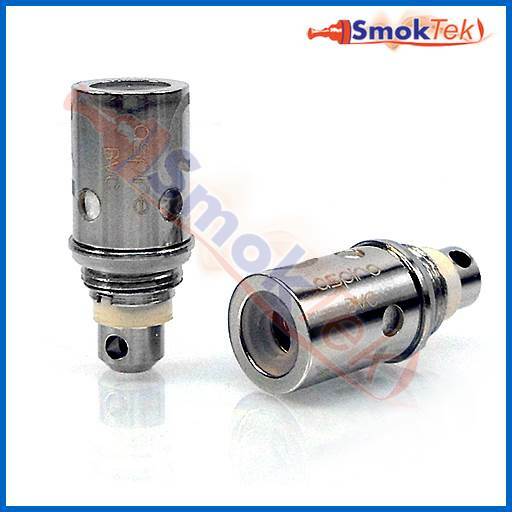 To use the CE5-S clearomizer with 510 threaded devices, you will need an eGo-510 connector. 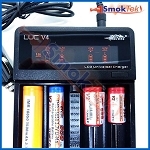 The Aspire CE5-S comes pre-installed with a 1.8 ohm coil - recommended voltage range is 3.7V-4.5V. We recommend starting out at a lower setting, and adjusting up or down by taste. These are the best clearo's on the market. 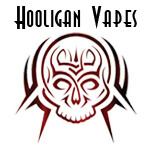 The coils last me about 2 weeks and do not leak. 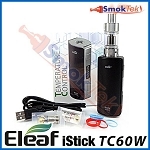 If you are looking for a no frills device along with an ego battery you can't go wrong with this one. Q: does the aspire ce5 bvc good for vision spinner twist? 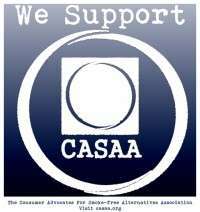 Thank you for reaching out to us! 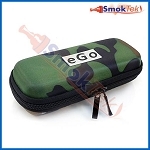 The Aspire CE5-S BVC Clearomizer works great with the Vision Spinner! Q: I have the CE5-S in the rainbow color and I can't find another one anywhere. I really do want to keep the rainbow set because it is feminine and pretty. Will you be getting more of these anytime soon, or has this been discontinued? Thank you for reaching out to us! 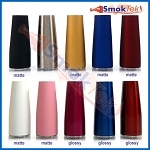 I'm sorry to say that shortly after we started carrying the Aspire CE5-S BVC Clearomizer in Rainbow, our supplier discontinued the Rainbow option. I'm sorry that I don't have better news, Sheila. 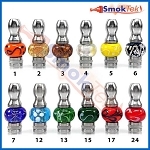 Q: Which replacement coils are used for these? Thank you for reaching out to us! 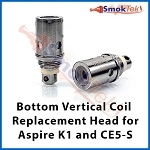 The Aspire CE5-S BVC Clearomizer uses the Aspire Bottom Vertical Coil Replacement Head for Aspire K1/CE5-S. I posted the link below! Q: Do you have replacement wics for these bottles? Absolutely! 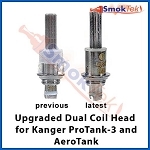 Below, I posted the link for the Aspire Bottom Vertical Coil Replacement Head for Aspire K1/CE5-S.
Q: What size coil do these thanks use? We're glad to help! The Aspire CE5-S uses the Aspire Bottom Vertical Coil Replacement Head for Aspire K1/CE5-S, and I posted the link below. 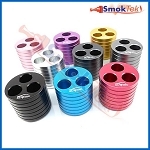 It's a small coil that comes in 1.6, 1.8, or 2.1 ohms.